The Baltimore Symphony Orchestra brings international-caliber music programming to Maryland. Repeatedly recognized for its enduring excellence, the Baltimoire Symphony really engages the community with its performances and with education and outreach. Among the Baltimore Symphony Orchestra’s distinctions is its place in musical history: in September 2007, Maestra Marin Alsop led her inaugural concerts as the Orchestra’s 12th music director, making her the first woman to head a major American orchestra. The Baltimore Symphony Orchestra was established in 1916, and it’s created an exciting lineup for this centennial season. A high point of the entire 2015-2016 season will be the upcoming Baltimore Symphony Orchestra Centennial Celebration Week, February 10-14. The Orchestra’s inaugural concert took place on February 11, 1916. Naturally, the 100th Anniversary Concert will be performed on February 11, 2016. The program includes legendary violinist Joshua Bell performing his own unique adaptation of Bernstein’s West Side Story Suite. The program will cover the range of the BSO’s history, celebrate its current successes, and share glimpses into its vision for the future. Plus, a new concert series, Pulse, mixes BSO classical ensembles and indie rock artists, continues the Baltimore Symphony Orchestra’s visionary collaborative efforts. OrchKids is the cornerstone of the Baltimore Symphony Orchestra’s efforts to expand their relevance within the broad and diverse Baltimore community. The BSO collaborates with several community partners and six Baltimore public schools to provide music education, instruments, academic instruction, meals, as well as performance and mentorship opportunities at no cost to students and families. OrchKids is the capstone of the BSO’s dedication to bringing age-appropriate music to kids. During the 2015-2016 season, the BSO will present four interactive, age-appropriate programs at the Meyerhoff. Each concert begins at 11am. But families are encouraged to arrive early at 9:45am to participate in the Inspiration Zone, where the lobby is filled with exciting, interactive activities, such as an instrument petting zoo, arts and crafts stations, interactive workshops, face painting and performances by members from the Baltimore Symphony Youth Orchestras and OrchKids. A noteworthy upcoming children’s peformance: The perennial children’s favorite Prokofiev’s Peter & The Wolf on March 12, 2016, at the Music Center at Strathmore and a performance at the Meyerhoff Symphony Hall on April 2, 2016. Led by Nicholas Hersh and narrated by Rheda Becker, the world’s most famous musical fairytale about a heroic boy and mischievous wolf is brought to life by the Bob Brown Puppets. In the 2015-2016 season, the BSO continues its highly popular Music Box Series for infants and toddlers age six months to three years. Each Saturday morning half-hour concert features the musical talents of a small ensemble of BSO musicians performing classical and children’s songs to develop musicality, creativity, coordination and literacy. 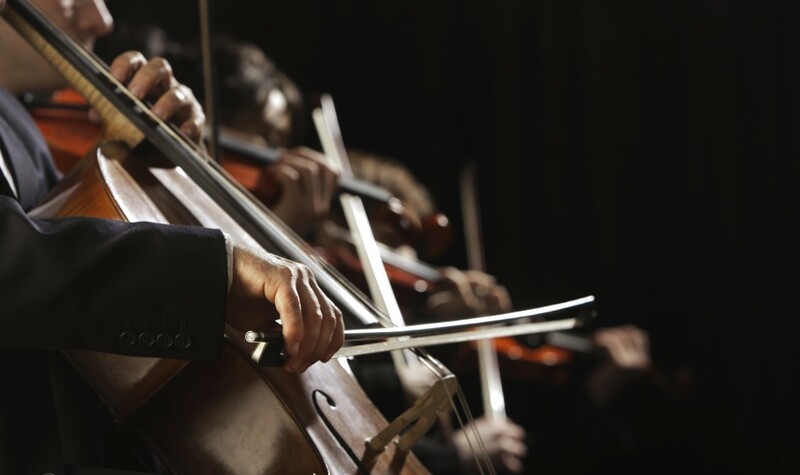 Whichever Baltimore Symphony performance draws you in, we’re sure a stay at Wayside Inn will only enrich your cultural experience. Check for availability on our website.